May just keeps getting better and better! Following the split with Obscura way back when, we were treated to the musical stylings of the mad combinations of Hannes Grossmann (Necrophagist / ex-Obscura) , Christian Muenzner (Necrophagist / ex-Obscura) , Morean (Dark Fortress), Danny Tunker (Aborted) and Linus Klausineitzer (Obscura) in the form of Alkaloid’s The Malkuth Grimoire and now, at long last, the band have announced their follow up Liquid Anatomy. Not only that though, the band have also made their brand new single “Azagthoth” available for your listening pleasure and if you thought The Malkuth Grimoire was weird, well this is something else entirely. 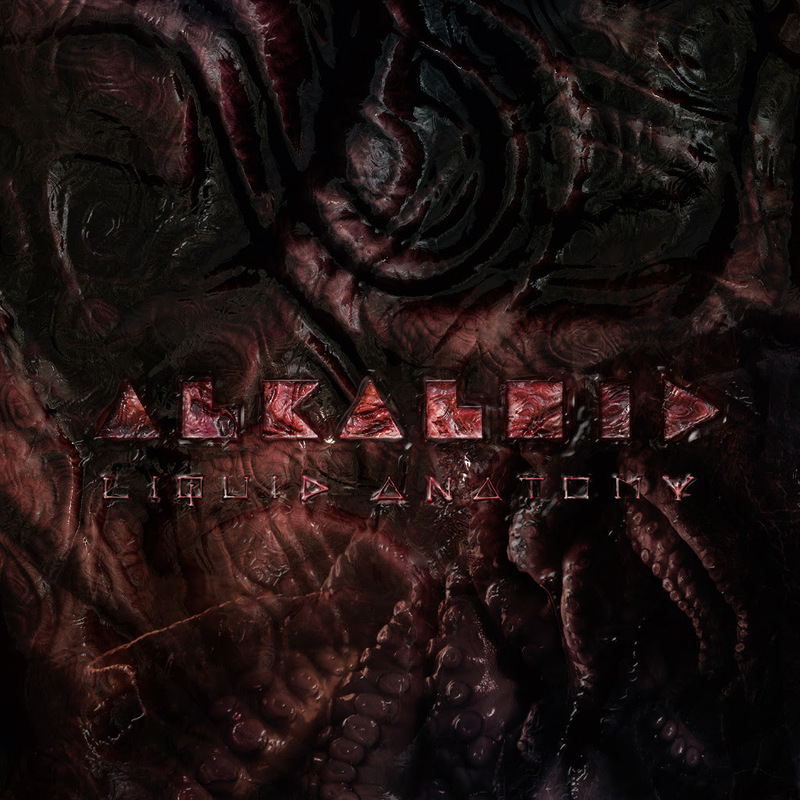 Stating that they wanted to collaborate with even crazier ideas on this second release Alkaloid have totally blown the lid off the Progressive Death Metal make up. As far as I can tell, the new single isn’t about the legendary Morbid Angel guitarist, though I’m sure there’s a little nod to him! The record is available for preorder right now and will feature eighth dimension devouring tracks. One of which is a total of nineteen minutes long. I. Cannot. Wait!! Listen to “Azagthoth” now before its May 18th release via Season of Mist.